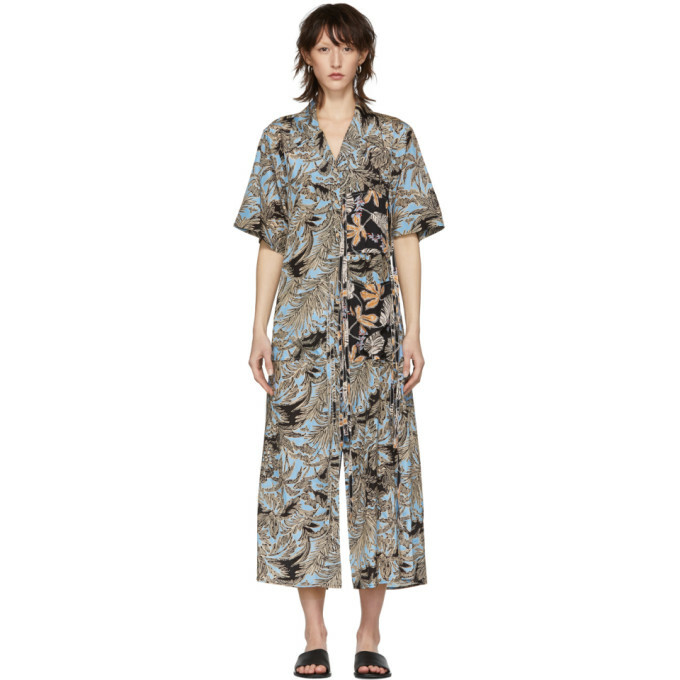 Short sleeve viscose and cotton blend satin shirt featuring multicolor floral pattern. Silk trim throughout. Open spread collar. Button closure and straps at front. Mismatched patch pockets at waist. Central vent at front and back. Self tie fastenings and cut out at back. Tonal and contrast stitching in white.